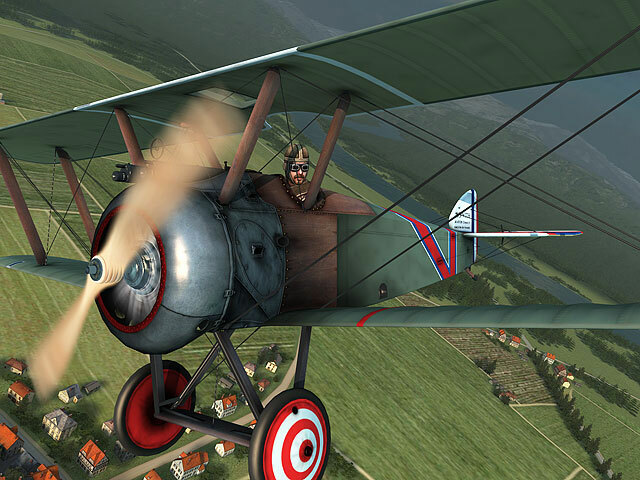 ﻿ Vintage Aircraft 3D Screensaver – Experience a flight on an airplane of the Great War. It is impossible to imagine our current life without air travel. We use comfortable supersonic airliners to go on business trips or on vacation and it takes us just hours to get to places where it would take us days and months to arrive if we traveled there by land. But rather few of us know the history of aviation. Our granddads were sure to fly biplanes - airplanes that are extremely rare nowadays, but they were one of the most widespread means of short-distance transportation half a century. If you dreamed of becoming a pilot when you were a child, the Vintage Aircraft 3D screensaver for Windows will allow you to get back in time even further – a whole century back. 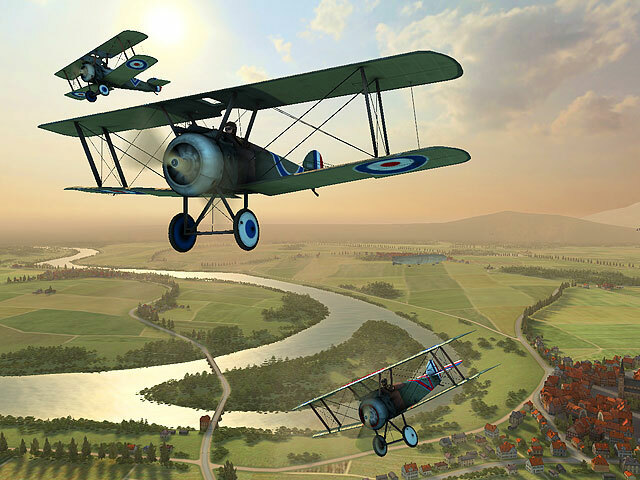 At the time, Europe was going through World War I and the use of aviation was unheard of thus giving those who used it a lot of advantages over the enemy. 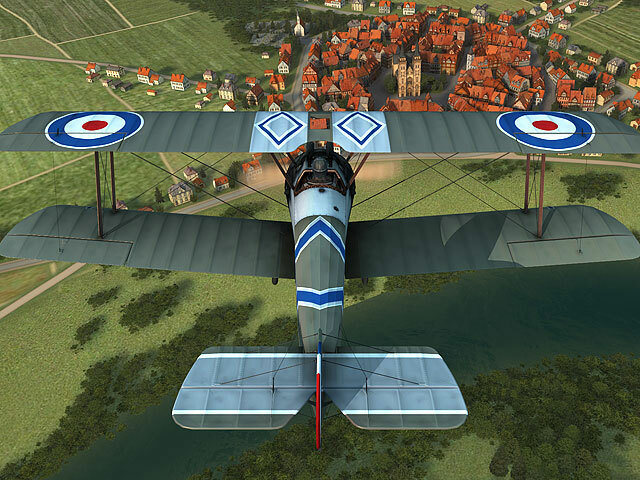 So, the users of Vintage Aircraft get the opportunity to find themselves in the cockpit of an airplane or in the gondola of an airship, enjoy European landscapes and learn how to control the aircraft right on the screens of their computers. If you describe this experience fascinating and exciting, it is not even close. It is one thing when you are in the cabin of a modern airliner flying at some unbelievable height and can see either a solid cloud carpet or a landscape where it is impossible to make out separate details. And it is all completely different when you have a bird's eye view over the beauty of all kinds of landscapes - from northern planes to the Alps in the south and the Carpathian Mountains in the east. And one more thing - the Vintage Aircraft animated 3D screensaver will allow you to become an expert in aircraft from the beginning of the 20th century and a person who knows the epoch of pioneers in aeronautics.